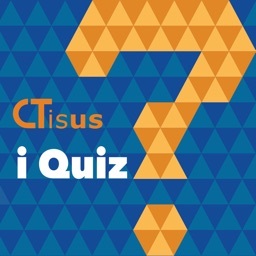 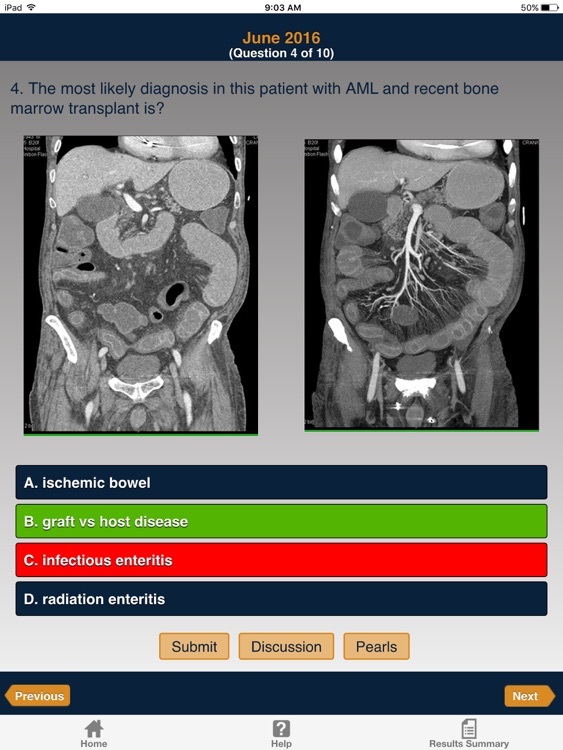 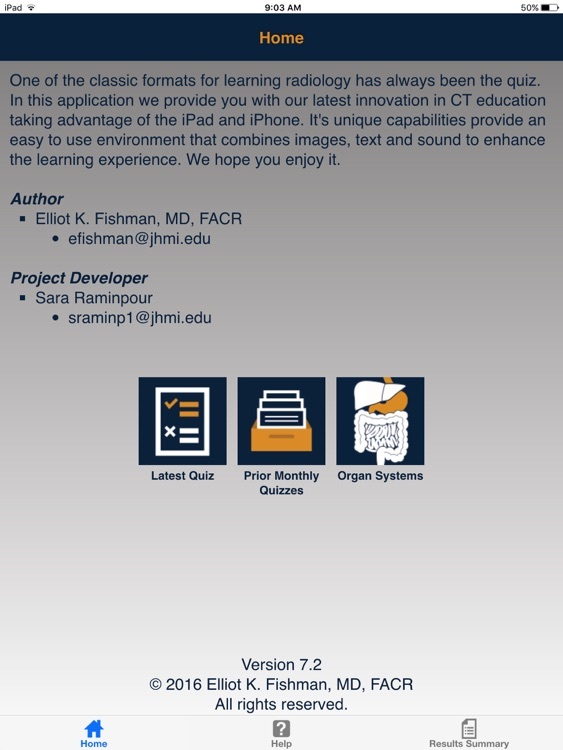 One of the classic formats for learning radiology has always been the quiz.In this application we provide you with our latest innovation in CT education taking advantage of the iPad and iPhone. 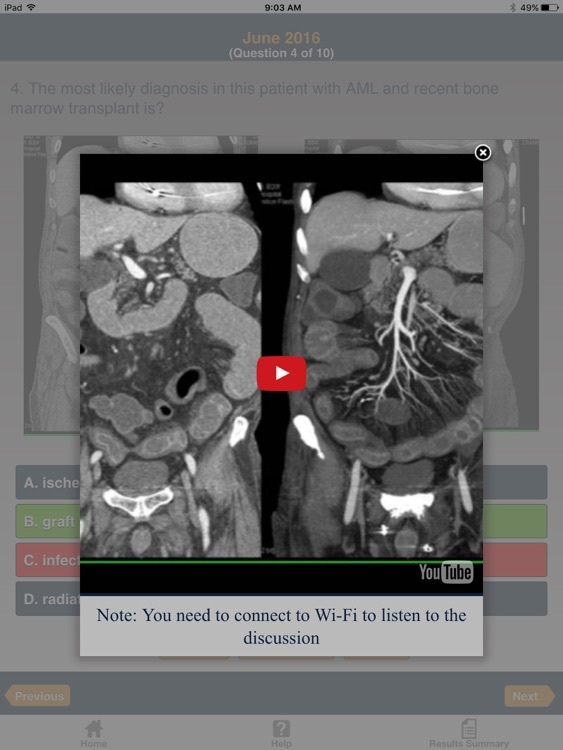 It's unique capabilities provide an easy to use environment that combines images , text and sound to enhance the learning experience. 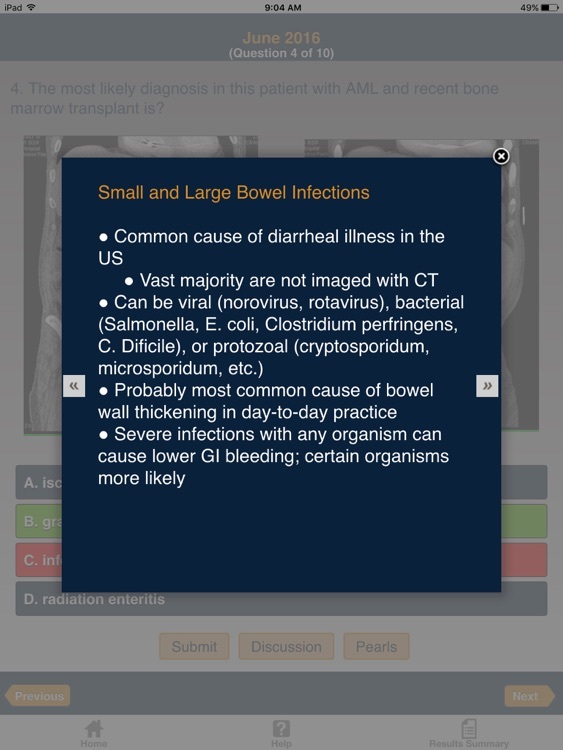 Over 1000 cases in 15 different categories that include case specific pearls and an audio discussion of the case.